This municipality of the Baix Empordà (1), which includes the centres of Aiguafreda, Sa Riera or Aiguablava, among others, includes a large part of the mountainous massif of Begur (in the Catalan Coastal Range) and covers a surface of approximately 20 km2 (2). Pine trees and holm oaks populate the wooded areas, which open to the sea in little coves, which supply the geography of the area with great personality (3). Enjoying the scenery, living the sea or penetrating the narrow streets of Begur, which breathe out memories of a distant past, make a visit to this seafaring locality a must! 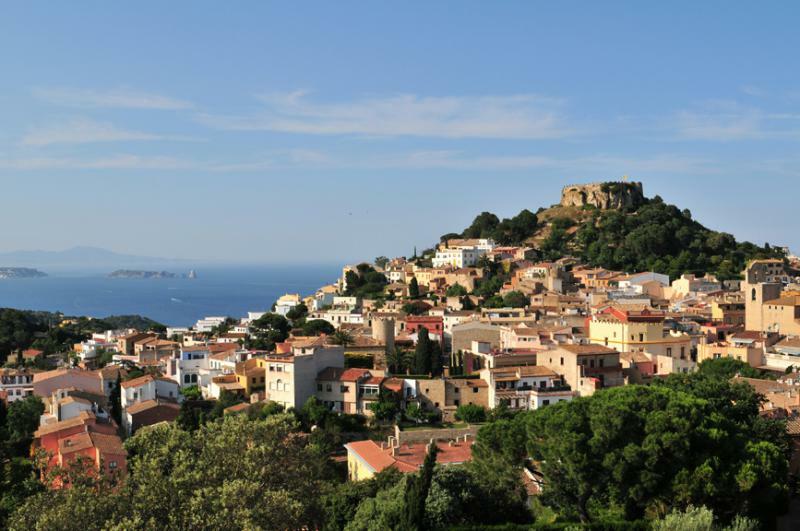 The unarguable photo of Begur is its medieval castle and defence towers (16th and 17th centuries). But its Iberian heritage, with archaeological remains confirming the existence of the settlers in the locality from times immemorial, and its Spanish-American past, showing the voyages of some of Begur’s inhabitants to the Americas where they made their fortune in the 19th century are also of interest. The marine reserve of ses Negres and a wild and abrupt coastline, along with uncountable coves and beaches, bring together tourists and natives with a great range of activities, both hiking or nautical. Fish, shellfish, meat, fruit and vegetables are the protagonists of Begur’s cuisine, and where “sea and mountain” the “small dishes” and rice dishes stand out. Here they are always alert to seasonal produce and rockfish, which are considered the tastiest of the cuisine of the Empordà, and on which the Gastronomic Campaign is based each spring.